St.Martin is not a national holiday, it’s rather a local holiday and I never really celebrated it. However, as being part of the German school it’s a tradition we do celebrate, thus I can tell you a bit about it. The main story is this: St.Martin, a soldier, was on his way to the city during winter time. Just before the city gates he saw a beggar in little clothes being cold, asking people to help him. Everyone ignored the poor man but St.Martin had mercy on him, took his coat and divided it in half, giving one half to the beggar who was very thankful. It is said the during the night Jesus appeared in Martin’s dream with half the cloak and thanked him. 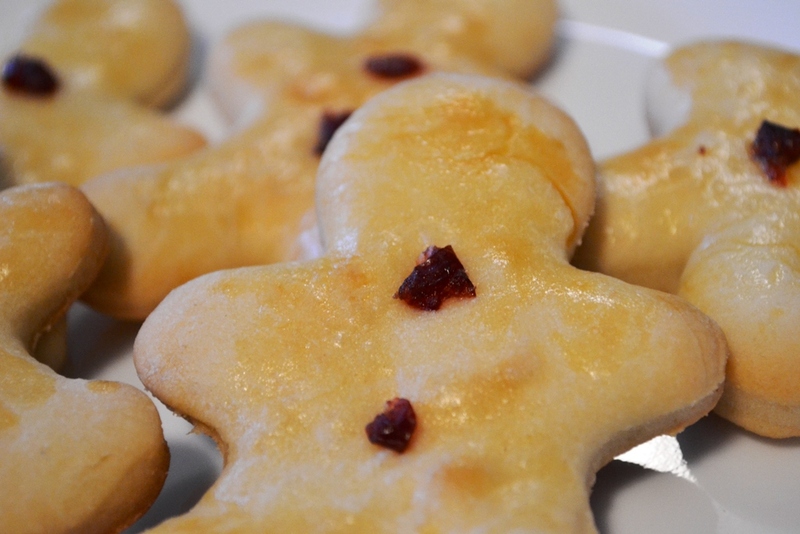 The Weckman is a traditional bun for Christmas and St. Martin and the dough is slightly sweet one. “Wecken” is the type of dough that is used and “Mann” comes from the form of course. Heat the milk for 20 seconds in the microwave. It should be warm to the touch but not too hot. Combine yeast and sugar and stir into the warm milk. Let it sit for 10 min or until the yeast is bubbly. While waiting you can measure the rest and combine them, except the egg, in a stand mixer with a dough hook. Add the egg and yeast-milk-sugar mix and let the mixer knead until you have a smooth dough. If it’s too try, add a bit water, if it’s too gooey, add a bit of flour. Remove and place in a bowl that was greased with oil and over it with plastic warp. Place the bowl in a warm spot for 30 min or until the dough has doubled. Prepare your working area by cleaning it and dusting it with flour. 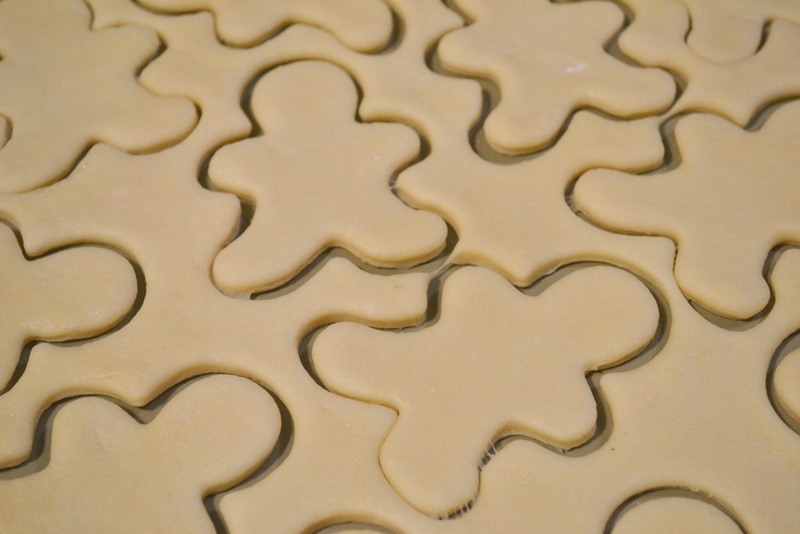 Line cookie sheets with parchment paper and set them aside. Then remove the dough from the bowl and lightly pad it, then roll it out. Be careful, you don’t want the dough too flat. 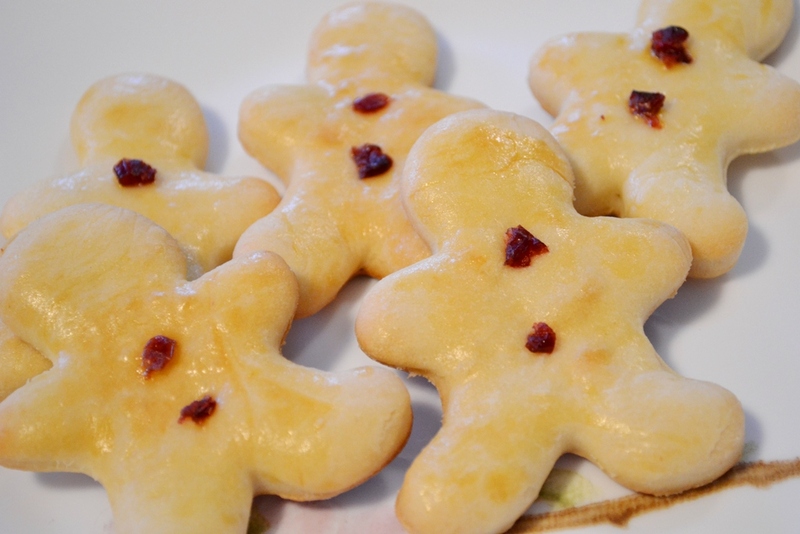 Use a gingerbread man cookie cutter to cut out your Weckman and place them on the cookie sheet. 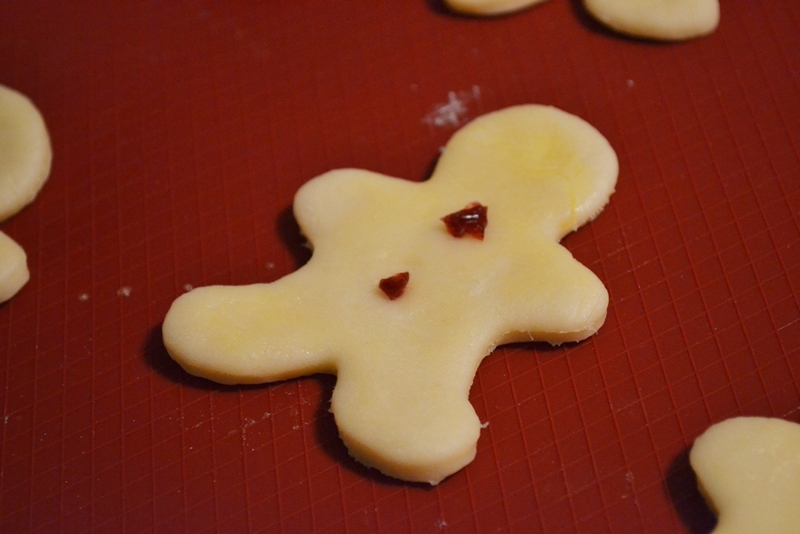 Then brush each with egg wash and place a piece of raisin or dried cranberries as buttons. Let them sit for another 10 min and bake at 180°C for 15 min. Remove from the oven and let them cool our before eating.